New research shows that struggling students can reach their academic goals more easily with better integrated and targeted support. The high dropout rate among black SA students has been a concern in education circles for many years – but a novel approach by the University of Johannesburg (UJ) in conjunction with the Centre for Coaching at the UCT Graduate School of Business has come up with a practical solution – life coaching. Their research shows that students who are academically bright can still struggle in their studies not because of a lack of ability or academic input – but because of a lack of support on an emotional and psychological level. This offers a fresh perspective on alarming recent research by the Human Sciences Research Council, which revealed that up to 40% of SA students drop out in their first year at university. Only 15% finish their degrees in the specified time and black students make up the biggest percentage of dropouts. In many top professions – like medicine, engineering and chartered accountancy – black membership is extremely low. The South African Institute of Chartered Accountants (SAICA), for example, noted recently that despite numerous initiatives and bursary programmes to boost black membership only 24% of chartered accountants living in SA are black. The UJ research targeted chartered accounting bursary students in their final year and set out to establish whether an innovative life coaching project could help improve academic throughput. They invited third-year CA students, who were all holders of a Thuthuka bursary, to participate in the project on a voluntary basis. 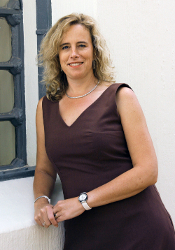 “Students are trained extremely well technically, but not much has been done to date in order to help them cope with their own unique issues and problems on a personal level,” said Erica Du Toit, senior lecturer in the Department of Accountancy in UJ’s Faculty of Economic and Financial Sciences Department. Their results speak for themselves. Of the 27 students who had coaching, 78% gained admission to the prestigious CA honours programme. Only 62% of the students who chose not to receive coaching managed to qualify. The combined rate of students admitted into the honours class in 2012 was 72% – a 30% improvement on last year. Each student underwent a personalised coaching programme which consisted of 10 individual sessions with their selected coach over a period of three months. Thuthuka bursary students all had strong academic potential, but came from rural, under-performing schools and from families with severe financial needs. Research has shown that there is a link between low socio-economic status and low academic achievements. More than 50% of the students registered at UJ are first generation university students within their family and community, and a significant number have a low Living Standards Medium. One of the success stories of the project was Nosipho (not her real name), a bright student from the Vaal Triangle who was battling personal problems, financial issues and a heavy academic load. Raised by a mother who was a domestic worker, Nosipho was also feeling guilty about being financially dependent on her mother. She easily became emotional and lost focus in her studies. After a few sessions with a life coach, she learned to manage her emotions better, find structure in her studies and was eventually selected for the Honours and CTA programme. Janine Everson, academic director of the Centre for Coaching, said supporting students in this way could go a long way towards changing their lives and shifting the statistics in careers like chartered accountancy. “We often underestimate how a person’s background, their social stratification, and personal history affect their ability to achieve their goals. This research project illustrated that coaching can play a major role in improving the success rates in the higher education system, especially with students who come from disadvantaged and troubled backgrounds, and who have been exposed to sub-par education. The Centre for Coaching coaches used an integral coaching approach, which explores all the constitutional elements of being human – spiritual, cognitive, emotional, relational and somatic (of the body), in order to tease out a person’s natural potential.